Cost and Management Accounting practice helps an organization to survive in the competitive, ever-changing world, because it provides an important competitive advantage for an organization that guides managerial action, motivates behaviors, supports and creates the cultural values necessary to achieve an organization’s strategic objectives. As an organization, the degree of adaption with the new techniques or procedures it depends successful. In management accounting has several contemporary issues are presenting in concurrent world. ABC & TQM are the lucrative and very important techniques in management accounting. Activity-based costing (ABC) has become one of the most popular methods of costing by using activities to allocate indirect costs, such as overhead. “TQM is a set of systematic activities carried out by the entire organization to effectively and efficiently achieve company objectives. Total Quality Management is commonly expressed in conjunction with business excellence. Just In Time (JIT) is a production and inventory control system in which materials are purchased and units are produced only as needed to meet actual customer demand. This method is very useful to those companies where holding cost for inventor is very high. In this assignment we will try to find out, after implementing these methods how can be benefited to sustain in the competitive world of an organization. Accounting systems take economic events and transactions that have occurred and process the data in those transaction into information that is helpful to managers and others users. It provides information about financial statements and performance reports. Modern cost accounting provides information managers need when making decisions. Cost accounting provides information also for management accounting and financial accounting. 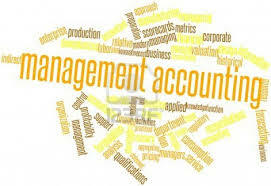 Management accounting is a specialized sub-set of accounting, focusing on internal needs of businesses. The business environment is changing rapidly. Business is expanding their areas day by day. For that reason, management of the companies is also becoming complex. For reducing the complexity the new issues are coming to cope up in the new environment. The contemporary issues of the management accounting are evolving to help and provide information to the managers in a new business environment. Over the past decade, management accounting has seen changes not just within existing domains of the field but has also witnessed extensions outside its established realms of activity. Wider systemic transformations including changes in political regimes, novel conceptions of management controls, the impact of globalizing forces on commercial affairs, shifts in notions of effective knowledge management, governance and ethics, and technological advances, including the rise of broadband, have all impacted management accounting endeavors. The field is as fast changing as it has ever been. Now a day the Contemporary Issues in Management Accounting are one of the main tools along with the other decision making tools for the managers. Cost accounting is the internal business function responsible for allocating business costs to goods or services produced by companies and analyzing other financial information resulting from business operations. This accounting method is also referred to as cost accounting. Cost accounting is the specific process of allocating raw material, labor and overhead costs to consumer products. Managerial accounting often expands on this function to include forecasting, budgets and assessing the profitability of current business operations. Cost accounting is also concerned with forecasting the amount of sales or new business opportunities companies may achieve when operating in the business environment. Management accountants use statistical techniques such as decision trees, game theory, net present value calculations or a variety of other quantitative or qualitative methods when creating economic forecasts. Management accounting is a specialized sub-set of accounting, focusing on internal needs of businesses. Popular with manufacturing environments, management accounting focuses on assigning costs to processes. Instead of dealing with debits and credits, accounts or financial statements, as financial accounting does, management accounting quantifies details, quality controls, and expectations. Cost Accounting is one of the main principles of management accounting. It is used to determine budgets, costs, and profitability of products or departments. Management accounting is a changing, growing area with many challenges. Finding ways to measure costs and to control them is at the heart of this type of accounting. Management needs tools to control costs to allow for analysis of processes, making operations more efficient and profitable. Management accounting usually fits this need very well. Most management accounting processes are performed using computer systems that can handle large amounts of data and make the data usable by users. Computer systems and the Information Technology (IT) department are very important in management accounting. In this assignment we are going to discuss about the application of ABC, TQM, JIT and Six Sigma in Bangladesh. Activity-based costing (ABC) is a costing model that identifies activities in an organization and assigns the cost of each activity resource to all products and services according to the actual consumption by each: it assigns more indirect costs (overhead) into direct costs. In this way, an organization can precisely estimate the cost of individual products and services so they can identify and eliminate those that are unprofitable and lower the prices of those that are overpriced. In a business organization, the ABC methodology assigns an organization’s resource costs through activities to the products and services provided to its customers. It is generally used as a tool for understanding product and customer cost and profitability. As such, ABC has predominantly been used to support strategic decisions such as pricing, outsourcing, identification and measurement of process improvement initiatives. Activity based Costing is designed to provide managers with cost information for strategic and other decisions that potentially affect capacity and therefore “fixed cost”. Activity based costing system is used to determine product costs for special management reports. This system is ordinarily used as a supplement to the company’s usual costing system. Most organizations that use ABC system have two costing systems–the official costing system that is used for preparing external financial reports and the activity based costing system that is used for internal decision making and for managing activities. Allows for non-linearity of costs within the organization by explicitly recognizing that some costs are not caused by the number of units produced. Generally estimates all of the costs of an organization as being driven by the volume of product or service delivered. processes, customers, and suppliers Focuses on estimating the cost of a single cost object—unit of product or service. Because of the ability to align allocation bases with cost drivers, provides more accurate information to support managerial decision Because of the inability to align allocation bases with cost drivers, leads to over costing and under costing problems. Table: Difference between ABC and Traditional Costing. More accurate costing of products/services, customers and distribution channels. Easier to understand for everyone. Utilizes unit cost rather than just total cost. Integrates well with Six Sigma and other continuous improvement programs. Makes visible waste and non-value added activities. Implementing an ABC system is a major project that requires substantial resources. Once implemented an activity based costing system is costly to maintain. ABC produces numbers such as product margins that are odds with the numbers produced by traditional costing systems. But managers are accustomed to using traditional costing systems to run their operations and traditional costing systems are often used in performance evaluations. Activity based costing data can be easily misinterpreted and must be used with care when used in making decisions. Globalization and the increasing complexity of business, together with high-powered computing technology, have contributed to the development of new management accounting techniques all over the world. In Bangladesh, Activity-based costing (ABC) is not fully practicing so much in an organization until now. We can take of using ABC in manufacturing and service industry in Bangladesh perspective. Activity-based costing (ABC) has become one of today’s most popular methods of costing by using activities to allocate indirect costs, such as overhead. Very essential the implementation of Activity Based Costing (ABC) is in the Manufacturing Companies for computing accurate cost information for strategic and other decisions that potentially affect capacity and therefore fixed as well as variable cost. Most of the manufacturing companies are very much interested to implement ABC in an organization, but lack of supporting management, inadequate skilled manpower, accessing cost etc. They are unable to implement ABC technique in an organization in our country. Despite the fact that activity based costing was at first created in order to serve the cost management needs of industrial organizations, soon researchers considered the possibility of applying this particular methodology in the service sector as well. Kaplan (1994) documents that since the early 1980’s many firms operating in the service sector for instance logistic companies, banks and hospitals had already developed cost accounting models similar to ABC. In our country perspective, contemporary issues in management accounting are not using in proper way for attaining competitive advantages. Right now, most of the organization wants to implement ABC but some factors keeping them away from implementation. 1) Lack of commitment of the top management: We know that management is the heart of business; good strategic decision helps to get competitive advantage, reversely bad decision also affected to get competitive benefit, using of ABC in an organization top management is not much committed. 2) Costing accessibility: excess cost is another vital point of using ABC in an organization. And once implemented, an activity- based-costing system is more costly to maintain than traditional costing system. Our countries most of the organizations are short term profit oriented. As a result they first considered reducing expense; it’s a reverse thinking to implement ABC. 3) Lack of skilled manpower: employee is the wings of operating organization. Without skilled manpower is not possible to implement ABC in an organization. ABC is one of the most lucrative and contemporary issues in management accounting. Facts that implementers are usually could not provide good training prior to implementing ABC in an organization. So that before implementing ABC in an organization must be given training among the employees. The common element of the business definitions is that the quality of a product or service refers to the perception of the degree to which the product or service meets the customer’s expectations. Quality has no specific meaning unless related to a specific function and/or object. Quality is a perceptual, conditional and somewhat subjective attribute and may be understood differently by different people. “TQM is a set of systematic activities carried out by the entire organization to effectively and efficiently achieve company objectives so as to provide products and services with a level of quality that satisfies customers, at the appropriate time and price.” Total Quality Management is commonly expressed in conjunction with business excellence. It is a scientific management methodology that values the quality of companies and organizations quality not only in products, but also in their processes and in their organization for quality management. TQM is a management method in which quality is required in all manners, to satisfy customer requirements. It involves every employee’s daily commitment in the office, which differentiates TQM from other management systems. TQM is not a program. It is “a strategy, a way of doing businesses, a way of managing, a way of looking at the organization and its activities”. Therefore, the success of TQM is measured not only by its tangible outcome but also by both the way in which the organizational structure is established and the processes by which corporate objectives are achieved. Why Total Quality Management is Important for Bangladesh? TQM has been widely implemented throughout the world. Many firms have arrived at the conclusion that effective TQM implementation can improve their competitive abilities and provide strategic advantages in the marketplace.TQM refers to an integrated approach by management to focus all functions and levels of an organization on quality and continuous improvement. Over the years TQM has become very important for improving a firm’s process capabilities in order to achieve fit and sustain competitive advantages. TQM focuses on encouraging a continuous flow of incremental improvements from the bottom of the organization’s hierarchy. TQM is an approach to improving the competitiveness, effectiveness and flexibility of a whole organization. It is essentially a way of planning, organizing and understanding each activity, and depends on each individual at each level. TQM is also a way of ridding people’s lives of wasted effort by bringing everyone into the process of improvement, so that results are achieved in less time. For these above reasons TQM is important for Bangladesh to sustain in the long run. 1) Prevention costs: costs associated with reducing the potential for defective parts or services (e.g. training, quality improvement programs). 2) Appraisal costs: costs related to evaluating products, processes, parts, and services (e.g. testing, labs, inspectors). 3) Internal failure: costs that result from production of defective parts or services before delivery to customers (e.g. rework, scrap, downtime). 4) External costs: costs that occur after delivery of defective parts or services (e.g. rework, returned goods, liabilities, lost goodwill, costs to society). Total quality management (TQM) tools help organizations to identify, analyze and assess qualitative and quantitative data that is relevant to their business. These tools can identify procedures, ideas, statistics, cause and effect concerns and other issues relevant to their organizations. The Pareto principle suggests that most effects come from relatively few causes. In quantitative terms: 80% of the problems come from 20% of the causes (machines, raw materials, operators etc. ); 80% of the wealth is owned by 20% of the people etc. Therefore effort aimed at the right 20% can solve 80% of the problems. Double (back to back) Pareto charts can be used to compare ‘before and after’ situations. General use, to decide where to apply initial effort for maximum effect. A scatter plot is effectively a line graph with no line – i.e. the point intersections between the two data sets are plotted but no attempt is made to physically draw a line. The Y axis is conventionally used for the characteristic whose behavior we would like to predict. Use, to define the area of relationship between two variables. Warning: There may appear to be a relationship on the plot when in reality there is none, or both variables actually relate independently to a third variable. Encourages a strategic approach to management at the operational level through involving multiple departments in cross-functional improvements and systemic innovation processes. Provides high return on investment through improving efficiency. Works equally well for service and manufacturing sectors. Allows organizations to take advantage of developments that enable managing operations as cross-functional processes. In Bangladesh, TQM is not fully practicing so much in an organization until now. We can take a look of using (ABC & TQM) in manufacturing and service industry in Bangladesh perspective. TQM is one of another important contemporary management technique which is reducing error of the products. When errors are reducing the products the production cost ultimately cut down, which is very helpful to get low product costs strategies of selling the products in the market. Low product cost strategies may be considered a core competence of an organization. For that reason, most of the companies are implementing TQM for ensuring quality of the products as well as for reducing product costs. TQM in Service Company is very much needed for minimizing cost as well as to provide quality services among customers. When above two techniques to make sure attain in an organization ultimately companies profit will be increasing. In Bangladesh perspective, every service organization is not fully using ABC technique but most of service company TQM technique is using in management accounting. 1) Commitment of the Top Management: It is very essential for successful implementation of TQM in a company. Particularly, commitment of the Chief Executive Officer (CEO) is a precondition to TQM. If the CEO says, “Yes, go-on I am with you” – that means he is not interested about TQM and nothing will happen. But if he says, “Come on- Let us go for it” – then everything will happen. 2) Lack of Motivation: in implementing TQM motivation is a key factor. We can try to improve quality by using better quality raw materials, latest techniques and machinery, but cannot implement TQM without a motivated work force. In other words, you can lead your horse to water, but you can’t force him to drink. 3) Lack of Trusts: between the management and the employees 2) the sub-contractor and the worker is another obstacle in implementing TQM. The general scenario in the industrial sector in Bangladesh is, nobody believes others. The Trade Union always plays a hostile role with the management. Even in Government offices, the lower staffs do not believe their bosses. To implement TQM, a trusting relationship among all concerned is essential. Just In Time (JIT) is a production and inventory control system in which materials are purchased and units are produced only as needed to meet actual customer demand. When Companies use Just in Time (JIT) manufacturing and inventory control system, they purchase materials and produce units only as needed to meet actual customers demand. In just in time manufacturing system inventories are reduced to the minimum and in some cases are zero. JIT approach can be used in both manufacturing and merchandising companies. It has the most profound effects, however, on the operations of manufacturing companies which maintain three class of inventories-raw material, Work in process, and finished goods. Traditionally, manufacturing companies have maintained large amounts of all three types of inventories to act as buffers so that operations can proceed smoothly even if there are unanticipated disruptions. Management faced numerous problems due to the new concept of self service store in Bangladesh. Their main concern was to maintain the supply chain and the financial resources for storing the inventory in bulk which will tie up the cash and also incur extra expense of warehouse and cold storage. 1. Perishable products: Liable to perish in short period of time like vegetables, fruits etc. 2. Non-perishable products: products last longer period of time such toothpaste, soap etc. Forecasting of inventory level:”Agora” forecast the demand of the products ahead of placing orders with the help of software Flaxsims which keep history of sales. FPR analysis the data and study the sales trend and prepare the PR which is forward to the head quarter for further processing. In this way, the CPU of Agora can estimate the inventory level. Reduces minimizes the defect helpful for the economy which has limited resources make best utilization of it, both merchandise and manufacturing companies can use JIT and in Bangladesh those who purchase goods from local supplier can use JIT concept. Therefore Just-In-Time can be a very effective tool for the Bangladeshi company if they can use it effectively. Six Sigma is a disciplined, data-driven approach and methodology for eliminating defects (driving towards six standard deviations between the mean and the nearest specifications limit) in any process-from manufacturing to transactional and from product to service. Executive Leadership: Includes CEO and other key top management team members. They are responsible for setting up a vision for Six Sigma implementation. Champions: They are responsible for the Six Sigma implementation across the organization in an integrated manner. Champions also act as mentor to Black Belts. Master Black Belts: Identified by champions, act as in-house expert coach for the organization on Six Sigma. They devote 100% of their time to Six Sigma. Black Belts: Operate under Master Black Belts to apply Six Sigma methodology to specific projects. They primarily focus on Six Sigma project execution. Green Belts: They are the employees who take up Six Sigma implementation along with their other job responsibilities. They operate under the guidance of Black Belts and support them in achieving the overall results. 1) Six Sigma attracts people to use this method is definitely the improvement of quality and reduce the defect. 2) With this strategy, people can identify the problems and they can make necessary adjustments in order to make the product process smoother. 3) Sometimes, people who fail to find problems with production would be inspired by six sigma strategy and they will be able to find the problem. 4) Product diversification is possible. With the help of this kind of strategy, you usually can try to broaden the variety of products and you normally can make different products out of this strategy. 5) A certain variety of products would be accepted under this strategy and the production of new products would be possible from the existing products. 6) People who are interested in establishing R&D department actually can save cost by running six sigma strategies to improve the quality of production indeed. 1) People would not be able to match their own situation with the theories sometimes. They might just base on the statistics or data. 2) People would fail to use real life experiences or cases to improve their own business if the leader lack of knowledge on six sigma or saying without proper six sigma training. 3) There would be a lot of arguments in the use of six sigma strategy in some processes. For example, you may find that there would be arguments on the employment of methods to improve the strategies. Sometimes, you may try to make one change in the manufacturing process and you would need to wait for a long period of time for the results to come. 4) If you fail to achieve the necessary benefits, you may need to start the six sigma strategies and go through all the processes again. Yes, this would definitely be very time consuming and you would surely hate this. Managers hate to suffer from repeated failures and this would definitely hurt their confidence. A Japanese pharmaceutical company purchases component from BD, assembles them to make syringes, and pre-fills them with a drug to market in Japan. The customer expected zero defects in all components, but one component had defects and could not satisfy them. A global team made up of customer, supplier and BD associates applied successfully Six Sigma to improve the current process and then to develop technology for a new. In Phase 1, we identified eight CTQs (Critical to Quality characteristics as defined by the customer), prioritized them through the use of Pareto analysis and validated the measurement system. The team, through brainstorming, mapped the process, generated Cause-Effect matrix, FMEA, targeted DOEs, and implemented control plan. As a result, the current process was improved and stabilized. The customer received acceptable quality and quantity, and on time delivery. In Phase 2, the team developed a new injection mold, then optimized the design to give the required assembly process performance. The final product was defect free and assembly was better than target. This was the result of multiple experiments and pilot runs, and depended on strong collaboration with the machine builder. In the world business environment every day is changing very rapidly on the basis of customers demand, perception, values, ability of consumption etc. For that reason every day new contemporary issues are innovating in management accounting for cope up with new changing business environment. For that reasons, as a manager must to adapt with new changes in contemporary issues in management accounting. The world has become a global village. Competition has become serious. To survive and grow, every enterprise need to be cost conscious, and management must ensure better decision for all aspects of management. For better decision making adequate and timely information is much needed. Management Accounting techniques have been designed since long to provide relevant information. More modern techniques are being used to face complex situation. What is needed is to understand the techniques, adopt it and use the product at right time. Bangladeshi manufacturing business firms remain far behind the expected situation due to lack of awareness as to benefit of using the management accounting techniques for better decision making. All concerned people need to realize the situation and take appropriate action from every corner to overcome this unwarranted situation. The soon it is done, the better it will be, otherwise we shall perish in this competitive world.